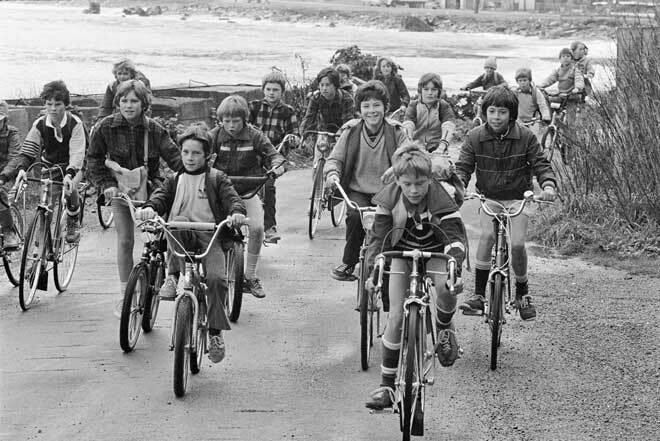 Some of these boys riding round the Eastbourne coast near Wellington in 1983 are on 10-speed bikes and some ride smaller BMX bikes. 10-speed bikes sparked a new bicycle boom in the 1970s, as their many gears made them much easier to ride, especially up hills. The BMX was popular with children and teenagers.